If you would like a different amount please call (386) 597-2968. Can be used for any of our salon and spa including our medical grade (MD) Services. 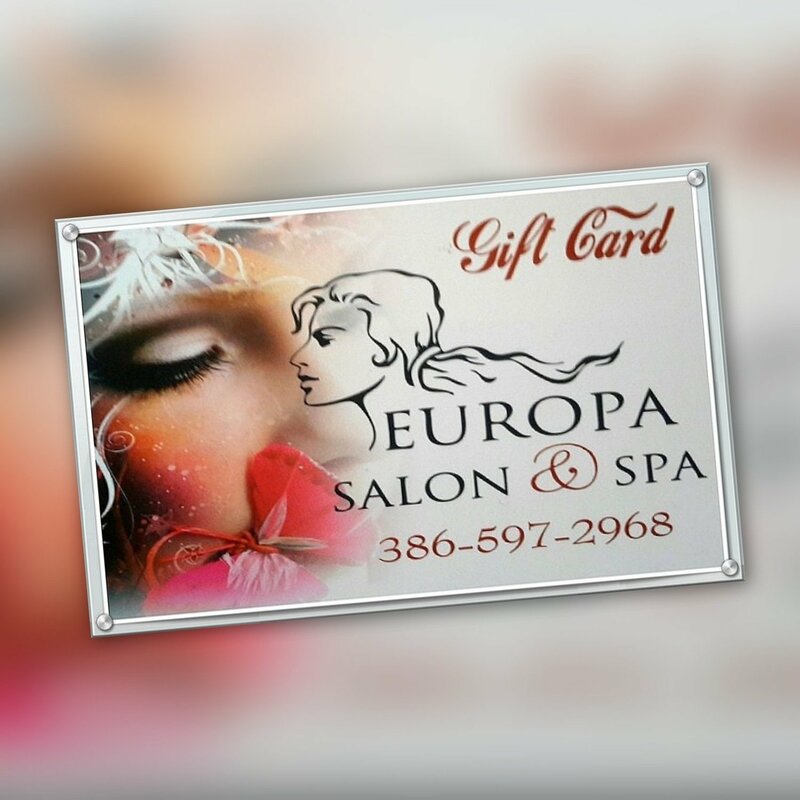 We can mail the gift card anywhere you want or we can hold it on site. Please provide the name and the phone number of the person you are buying this for to be able to add him/her to our system. All gift cards are good for 1 Year. No return accepted on gift card purchases.